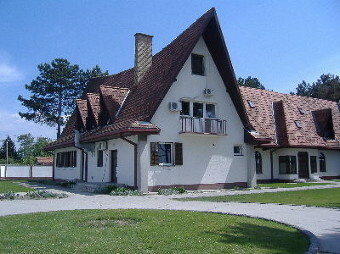 Sladjan and Jaraslava manage HUB, a Bible College situated to the north of Belgrade which is used as a base for gospel and humanitarian activities. For several years Gareth has taught sessions at this College. This is a very strategic ministry in the Balkans. The recent newsletter shows how important this ministry is to the spread of the gospel in this part of our world and the many exciting ways in which God is using this extraordinary ministry. Serbian board of trustees. HUB is a non profit making organisation of people from different Christian denominations and ethnic groups. They all share a desire to make a difference and show the love of God in their country. For many years Gareth Bolton has been a regular teacher at this Bible College and more recently Sandra Lemming, another AMEN Trustee, has been teaching at the College. HUB is a unique organisation doing wonderful work both in Serbia and further affield in the Balkans. The students they train make a real difference. We are delighted to have a partnership with them and to endorse their work and encourage our supporters to pray for them and encourage them. This picture shows Malou Bolton with Sladjan Milenkovic, the leader of HUB the Serbian Bible School and his older daugther, Sara. 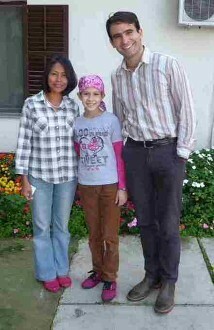 The two of them have spent months in USA where Sara was treated for a brain tumour. Thanks to many people praying for her, she is looking much better and is getting stronger every day.